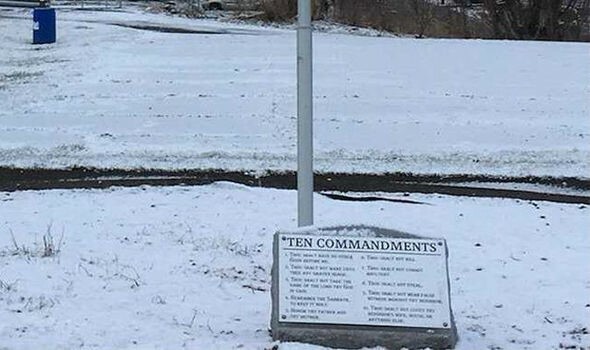 Outrage ensues after a plaque containing the Ten Commandments was removed from Murphy Park in Steubenville, Ohio following complaints by Church-State separation groups. A Christian persecution support group has been vocal about their wish for the decision to be overturned and the plaque returned to the park. The plaque with the Ten Commandments was placed there by the local Baptist Church after the church adopted a section of Murphy Park. As a representative of the Barnabas Fund, Mr. Storm urged the city to reconsider its decision and return the plaque to its former location within the park. On August 14, 2018, following complaint from atheist-led FFRF, Jim Mavramatis, the City Manager, removed the plaque from Murphy Park in Steubenville, Ohio. FFRF claimed that the plaque as unconstitutional and demanded its removal. The same organization caused the removal of another biblical plaque at a Minnesota courthouse earlier this year. The Ten Commandments play an important role in both Judaism and Christianity as a set of biblical principles and moral truths that are the basis of any ethical foundation for all humankind.